What impact will the international vision for CFL have? Super Bowl 2019: What time does Super Bowl LIII start around the world? 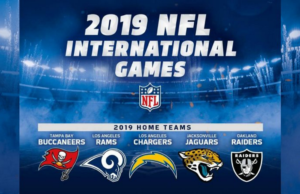 NFL International Series 2019 – Who’s Heading to London?